Mark is the IT and Supply Chain Manager for long-standing client Titan, an engineering company who specialise in the design, manufacture and assembly of precision machined components predominantly for the motorsport and automotive industries. We have been Titan’s partners for the last 12 – 13 years helping them to maximise productivity and efficiency from their machines. We have also been running a trial of MDC with them for a couple of months with them reporting that the data being provided is very useful. Titan will be rolling out the MDC trial across the rest of their CNC machines soon. We are delighted to support Titan and thank them for their kind words on this video. Cambridge Regional College (CRC) is the top Further Education College in the country for 16-18 year-old level 3 student achievement and a leading apprenticeship provider, with 3,000 full-time students and more than 3,800 apprentices currently in training. They were looking to provide their apprentice engineers with an easy to learn and full featured software package to assist them in teaching the engineers of the future. 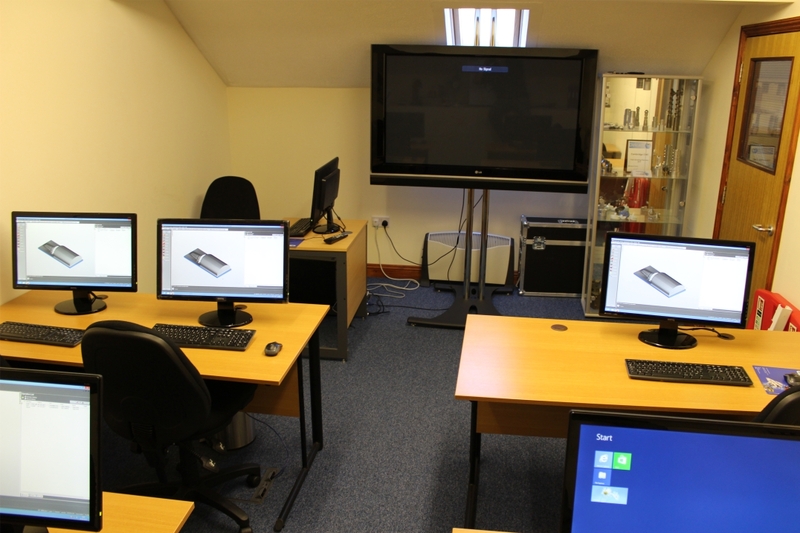 CRC decided on Cimco Edit, CNC-Calc and the Fanuc NC-Guide Machine Simulation Software to train their students. Gas Arc are a world leader in the production of gas control systems to the oil and gas industry as well as the medical industry. Gas Arc used to have systems in place that were manually controlled and retrospective. A decision was made to look for an automatic solution that would enable them to organise and control their CNC files and give them versioning and traceability control in real time, they also wanted real time machine information, so they could be proactive on decisions regarding their production and machine management. Gas Arc decided on Cimco Edit, NC-Base, DNC-Max and MDC-Max as a complete solution. Our company was looking for a back-up system for all the programs we use in our machines, CNC, Grinders, Gear Hobbers, Gear Cutters etc. When I called Cambridge Numerical Control, I was passed on to Allen Lawrence. He listened to what I was asking for and arranged a visit for the following morning to do a site survey. He explained everything to me, walked round our whole site and knew exactly what was needed. I had 2 quotes by e-mail that same afternoon offering me 2 different solutions. Nothing was too much trouble and any questions were answered straight away. Allen made me feel at ease and was very patient with me as i knew very little about DNC Networks. DNC-Max and NC-Base was the suggestion and looked the perfect solution for our company, now and in the future and giving us the option to add to at a later date if we wished too. CIMCO Edit was already being used by most of our associates and a newer version was available making things even easier to do with added extras. The bonus was also little or no training was needed. The equipment needed turned up when they said it would. The installation was started on time and worked first time too. One of our departments was a little more complicated than we first anticipated but Allen and Graham stayed late to try and find a solution. Even though they wasn’t able to figure it out on-site in the specified time, they took a copy of our files to work on back at their head office. We came to an agreement on the extra time needed to finish the installation we were all happy with. The whole teams attention to detail, understanding, knowledge and helpfulness was outstanding and I have great pleasure in endorsing there work and products. This was my first project and I can’t thank Allen and the team enough. Cambridge Numerical Control are always there when I have a question and respond extremely quickly. All I can add is they were fantastic and we will continue to work with them in the future. Wayne Saunders, Project Lead – Micro Precision Gear Technology Limited (Rexnord Aerospace) Hemel Hempstead, Hertfordshire. On the occasions I have phoned Cambridge Numerical Control for support I have usually got through straight away but if they are busy they have always phoned back within an hour. What I like about their support is that they understand the principles of machining. Their approach is always to find a work around so I can get the job up and running. They can always remote into my computer and see exactly what the problem is and provide a solution. If it’s a post processor problem they normally fix it remotely and then I know that the problem is solved for the future. I would not hestiate to recommend Cambridge Numerical Control as your supplier for FeatureCAM. I invited Cambridge Numerical Control to demonstrate FeatureCAM as they were highly recommended. During the demonstration they showed me how easy it was to program my turbine part. We then negotiated terms and they agreed that they would provide a working program for my turbine part as part of the deal. True to their word the program was provided within the required time scale. However due to a machine control problem the part did not cut properly. Cambridge Numerical Control investigated the problem and came up with a solution to produce a good part with excellent surface finish. Without the assistance of Cambridge Numerical Control I would have missed the deadline for my customer. Thanks Cambridge for not walking away from a problem, you gave excellent service and I would certainly recommend your services. 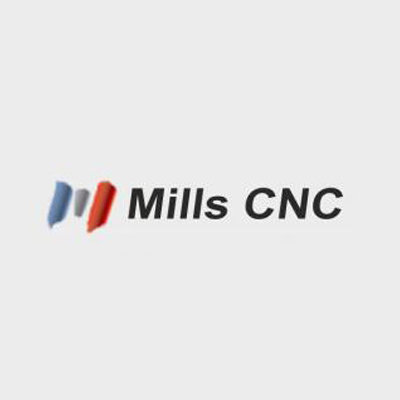 Cambridge Numerical Control have recently complete FeatureCAM training for all of Mills CNC pre-sales and application engineers. All their engineer’s now have laptops with the latest version of FeatureCAM to enable them to program their full range of Doosan machines. They will also be using FeatureCAM to provide customers with more accurate time studies. Since having MDC-Max installed we have seen an increase in production of 15% – 20% resulting in improved lead times and on-time delivery to our customers. Since having the system installed we have seen a big reduction in machine downtime. All the information regarding the current state of the machine is relayed instantaneously via the live screen and any stoppages are reported automatically. This has enabled us to keep track of production and minimise downtime. At the end of each week we just print off the required reports and the information regarding job times, hours worked and down time per machine is all there. We have also had a very positive response from our work force, who no longer see it as Big Brother watching them. They know that if there is a problem with their machine, the management team see it immediately and can respond to it straight away. The shop floor works more efficiently and we know the reasons for our downtime and the staff have suggested ways to minimise it. Since having the system installed we have seen an increase in production of 15% – 20% resulting in improved lead times and on-time delivery to our customers. Most of which has been achieved by utilizing the MDC System as a Production Aide and minimising our downtime. The MDC system is a superb Management tool and I would highly recommend it. The main benefits of having the MDC system from Cambridge Numerical Control is that I can see what production has taken place in real time. I can see when machines are in production and when they are not without the need to go out on to the shop floor. I don’t even have to be there as I can access the system remotely. MDC has given me a more accurate view of my personnel and production in general and I now have an effective tool to manage my nightshift. Since having the system installed we have seen an increase in production of 15% on the machines where the MDC system is installed. Cambridge Numerical Control are always there when I have a question and can fix most problems using the remote link they installed to our system. This means that they do not need to visit us and saves a lot of time. © Copyright 2019 Cambridge Numerical Control. All rights reserved.